This is it – the chair that brought Bean Bags out of the 70’s and into the new millennia, the one and only: the Big Joe Fuf Chair. So you might be asking, what in the world IS a Fuf? And how do I even say it?! 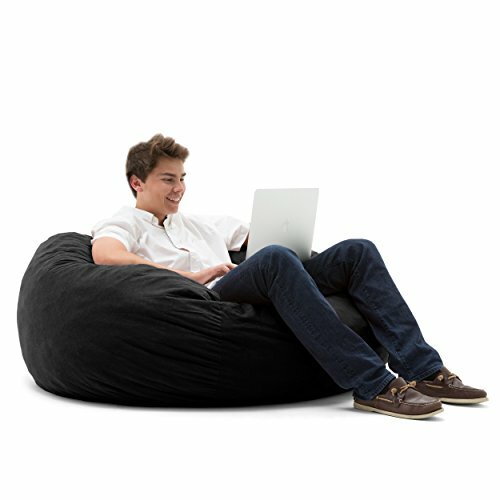 Well the Fuf (pronounced FOOF), is a patented, one-of-a-kind seat not to be mistaken for your average bean bag chair (trust us, we know - we make those, too!) If you’re looking for a big, long-lasting, cushy, lounge-around chair, you’ve come to the right place. Filled with a shredded mix of foam and memory foam, the Fuf can be fluffed again and again to continuously bring it back to its full, cushy potential, just like your favorite pillow. The Fuf Chair ships in a box a fraction of its size, but fear not, it will expand over time. It can take up to 7 days to grow to its full size, and boy, will it grow. This Large Fuf chair is a robust presence at a near 4 ft long, and 40 pounds. So go ahead, fluff it up, and sink into the glorious comfort that is the Big Joe Fuf. Spot Clean Only.